Releasing on 12th August 2011, Aarakshan is a hindi film about reservation quota in educational institutions and jobs. This has been one of the crucial topic of debate shaping our society through years. Aarakshan movie is starred by Saif Ali Khan, Deepika Padukone, Amitabh Bachchan, Manoj Bajpayee. Since the movie is based on highly controversial socio-political issue, it is certain to draw audeince to theaters. 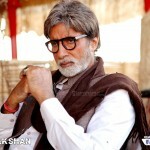 Aarakshan songs and videos, aarakshan trailers and promos, aarakshan mp3 – all have been launched.